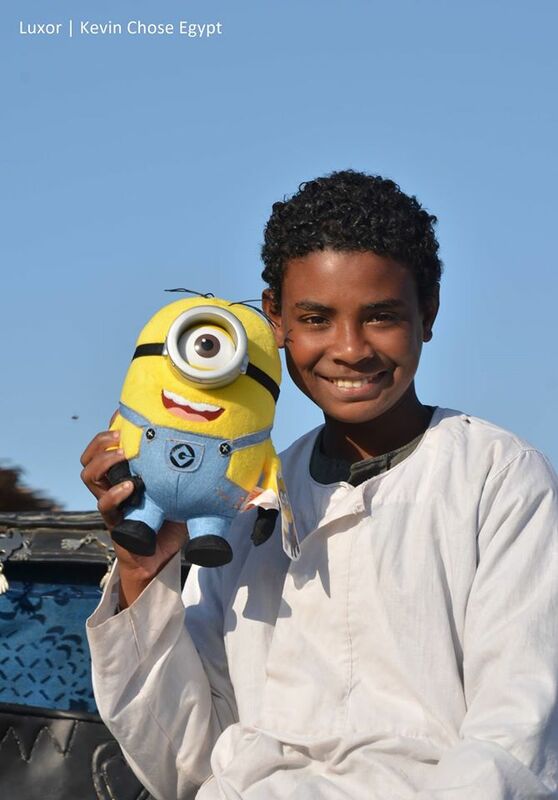 Kevin, originally known as Stewart in the movie ‘Despicable Me’, has been touring Egypt with his human friend Judy since 2013. 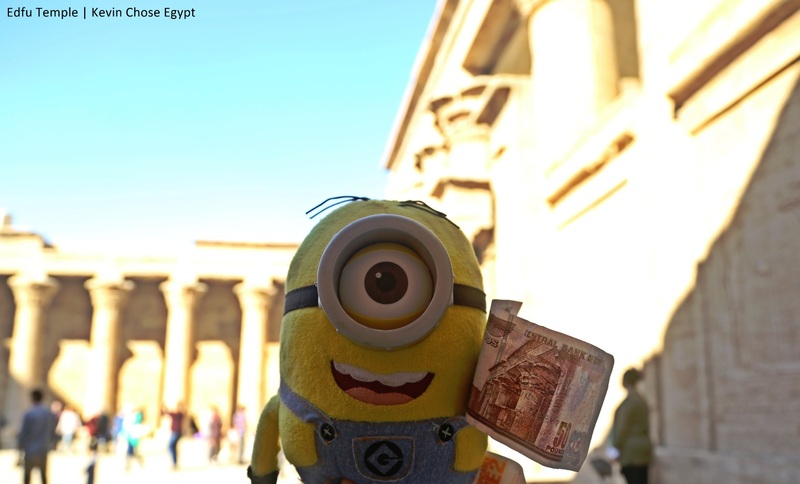 After five years of being solely known as the sidekicks of an evil mastermind, Minions have taken over the silver screen this summer to generate an astounding local box office revenue worth almost $US 320 million. 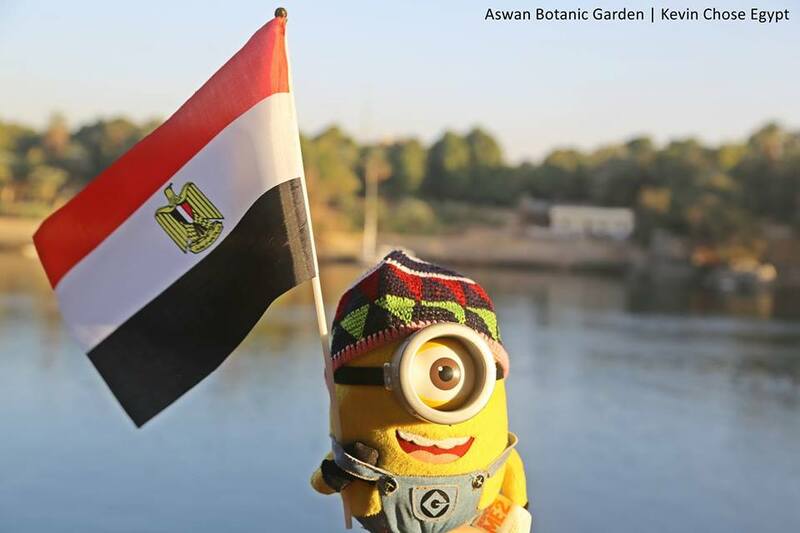 But as the myriad of silly yellow creatures enjoy their newly earned fame and success, one minion, Kevin, has decided to use his fame for a greater cause; redirecting the world’s attention to Egypt’s beauty in hopes of reviving the country’s tourism industry. Kevin, better known in the movie sequel ‘Despicable Me’ as Stewart, met his human friend Judy el-Said, 28, in New York in July 2013 -who instantly fell in love with him due to her love for the character based on the movies. 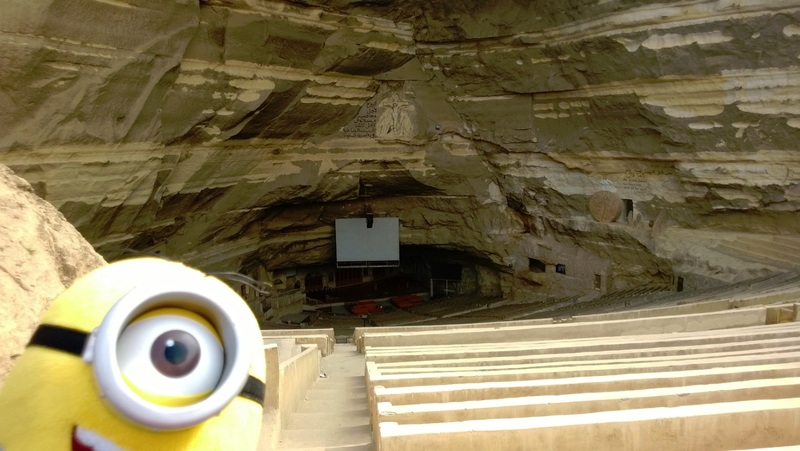 “I was asked to bring him and some of his relatives back to Egypt, as many of my friends and family just love minions,” Judy recollects her first encounter with Kevin. Until January 2014, Kevin and Judy shared a regular human-stuffed toy relationship. 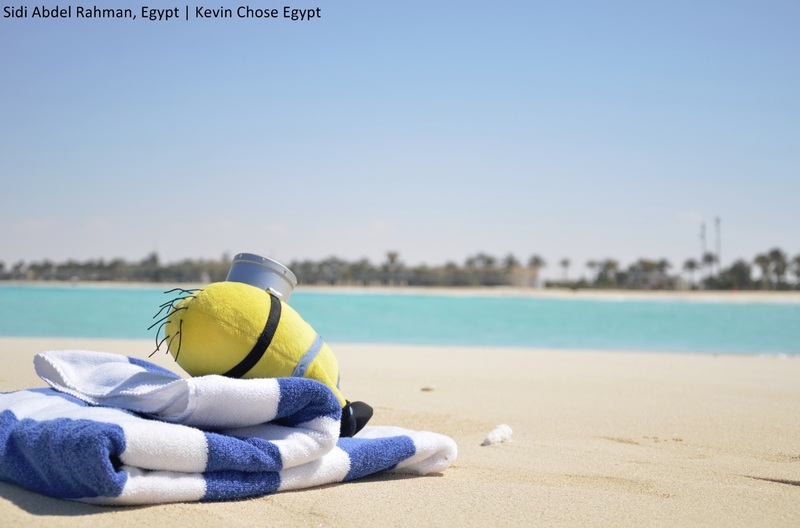 However, the scenario flipped one day when she boarded a plane with Kevin and her friend on their way to Luxor, and her yellow friend, as lifeless and toy-like as could be, proved to be more successful at breaking the ice than most humans. “One of the stewardesses asked if she could take a picture with him, and I said: ‘Sure, only if you let Kevin into the cockpit,” shared Judy jokingly. But to her surprise, the stewardess returned with the pilot’s approval for the request, earning Kevin several pictures of him flying the plane from the cockpit. 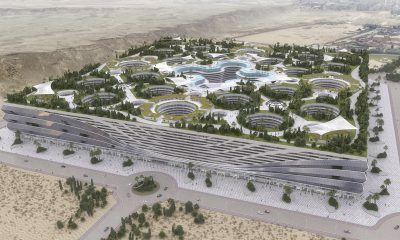 Upon arriving at their destination, Luxor, Judy’s heart ached for the stagnancy that had hit the city and its primary source of income, tourism. 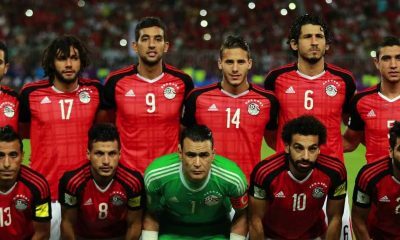 “Tourism had been badly affected after the revolution. 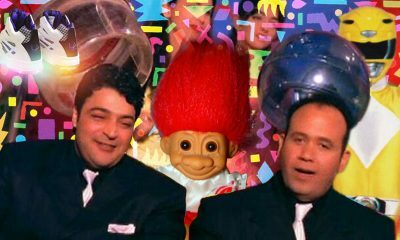 And this is when I decided to do something about it. 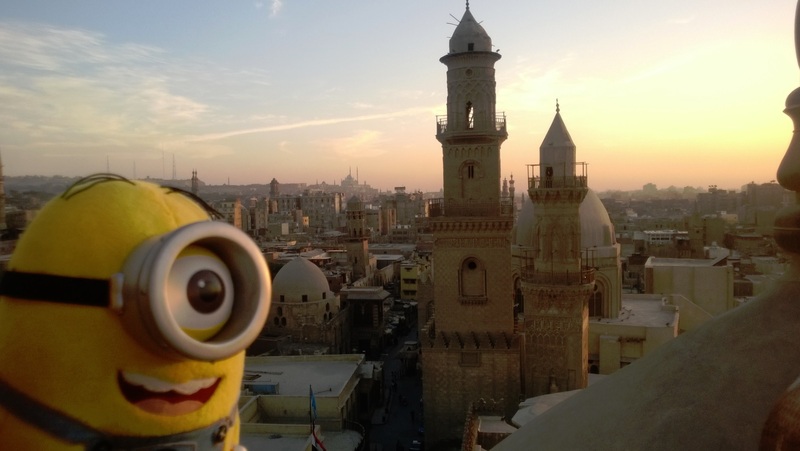 I combined the idea of attractive photos for Kevin to draw attention to Egypt’s main attractions. 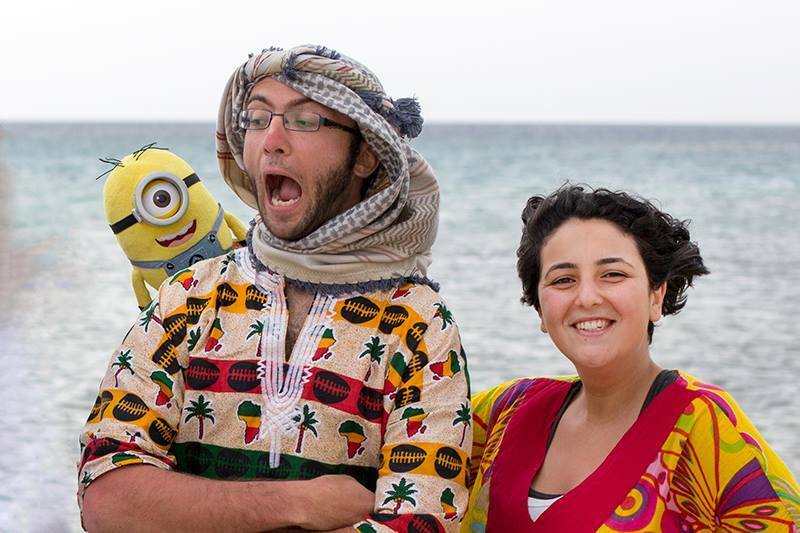 Fueled by her enthusiasm for using simple tools to break the stigma about Egypt being unsafe, Judy created the Facebook page ‘Kevin Chose Egypt’ in February 2014 through which she shares Egypt’s touristy sites and activities paralleled with Kevin’s cheerful demeanor. 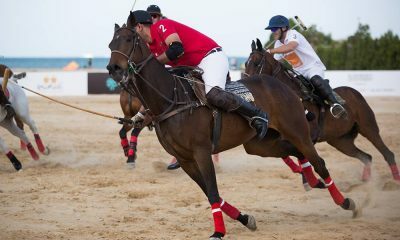 From the Islamic and Coptic historical sites of Cairo, to the Greco-Roman monuments of Alexandria, all the way to the water sports of the Red Sea and the Safari trips of the Western Desert, not to mention Egypt’s wide array of hearty foods, Judy hopes to take Kevin around at least 150 spots in Egypt. 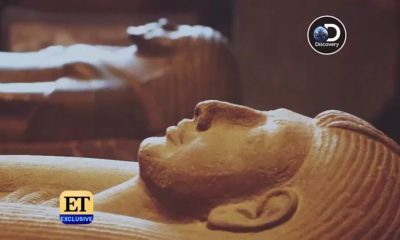 To date, Kevin and Judy have together visited Cairo, Alexandria, Luxor, Aswan, Giza Pyramids, Marsa Alam, Dahab, El-Gouna and Sidi Abdel Rahman. 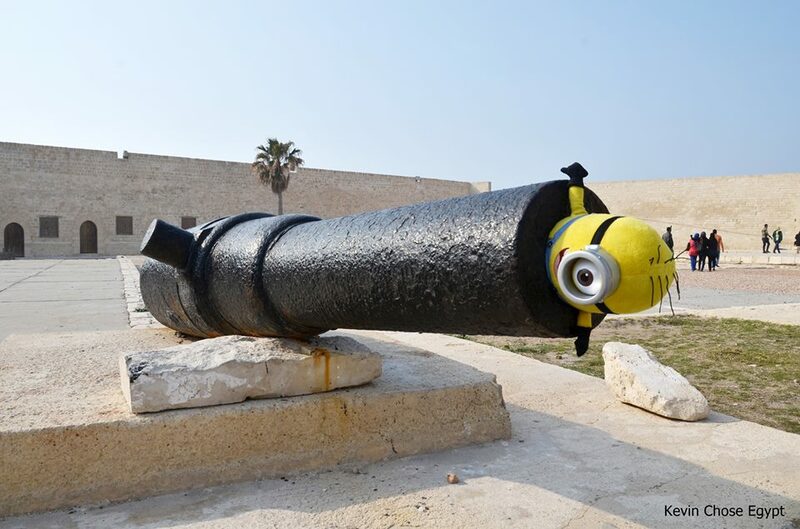 After all, if a minion can safely make it through Egypt, what can possibly go wrong? Even Kevin needs time at the beach. 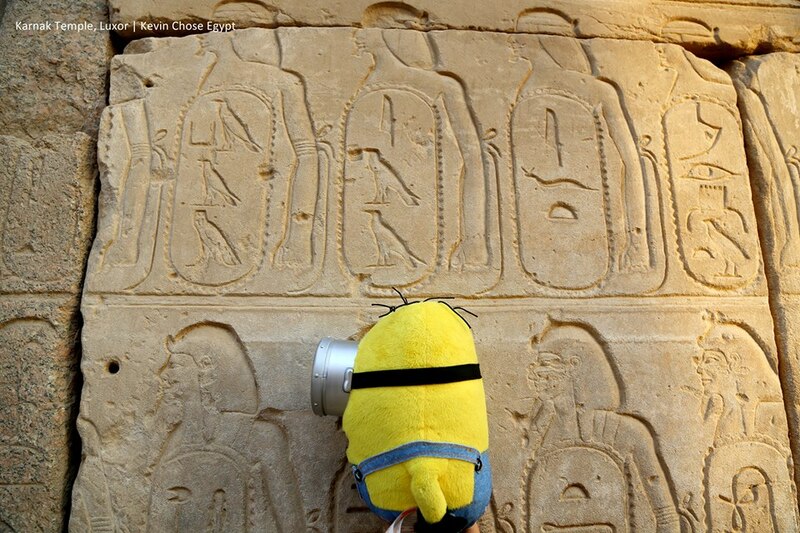 To follow Kevin and Judy as they tour Egypt, click here.